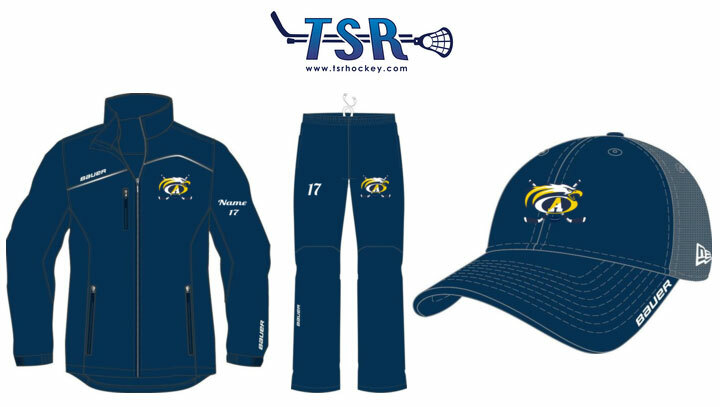 Andover Hockey has teamed up with TSR and Bauer again this year to offer Bauer, CCM and Under Armour equipment and clothing. This is your best option for the familiar Bauer team warm-up jacket and pants as the name/number embroidery is included. There are great options for sweatshirts and hats. If your player is growing out of last years on-ice gear, these are great prices on Bauer gloves, helmets, and hockey pants in the AHA navy blue. Orders will close on Thursday September 14th, 2017 (11:59pm EDT). Please send questions to .